​Learn the basics of linocut, an easy and highly satisfying form of relief printmaking. An excellent technique for the complete beginner. Learn to exploit bold shapes and patterns and make use of linocut's strong graphic potential to produce your own original prints. practice and begin cutting using quality carving tools. and then finally 'pulling' your first, in an edition, of original prints. 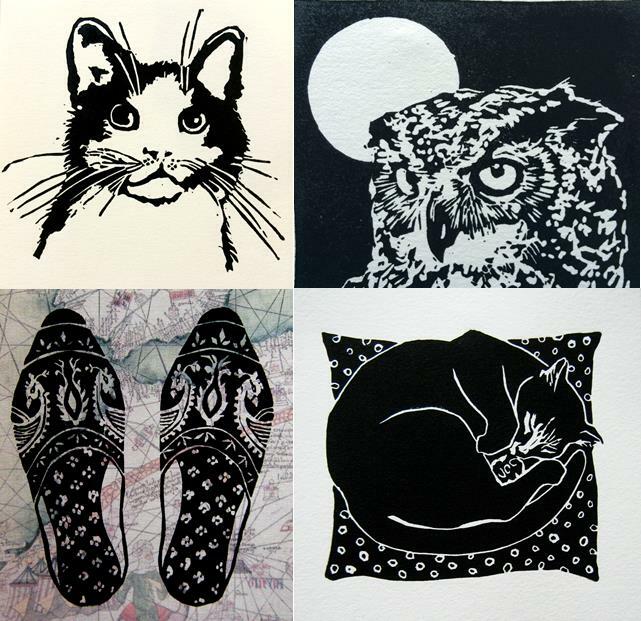 A range of exciting variations will be shown and discussed including the many ways of making multi-coloured linocuts: multiple plates, jigsaw plates, collage, masking and hand colouring. to produce strong and vibrant unique prints. for learning extra linocut variations. This process does not require a printing press, so there is no need for specialized studio facilities.